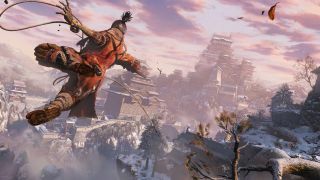 Sekiro: Shadows Die Twice has only just released and there are a number of mods available for the Steam version that makes it a more enjoyable game to play. One of the mods available, which was created by ‘jackfuste’, a member of the Widescreen Gaming Forum (WSGF), allows you to unlock the framerate of Sekiro: Shadows Die Twice. While the game is locked at 60 frames per second, with the mod installed, you can play the game at higher frame rates for a smoother experience. There’s also a mod that lets you change the field of view, which will allow the game to run on ultra-wide monitors with 21:9 aspect ratios. To add the mods to the game, you’ll need to have the Steam version of Sekiro: Shadows Die Twice and use the Sekiro Mod Engine for easy installation. Sekiro: Shadows Die Twice is already proving to be a hit with both critics and gamers, and these new mods show why the PC remains such a good platform for gaming, as dedicated fans can create mods to help improve the games they love.